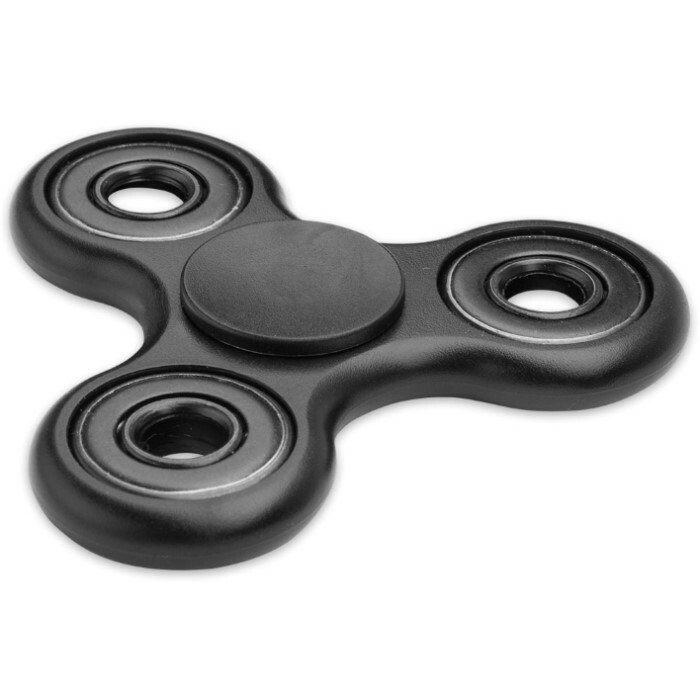 Black Fidget Tri-Spinner | BUDK.com - Knives & Swords At The Lowest Prices! Our Black Fidget Tri-Spinner is a premium everyday carry focus toy that will help reduce stress, increase concentration and relieve anxiety. It features a shockproof, high performance bearing in the center that provides less friction and higher speeds that guarantee up to 3-5 minutes of spin time, depending on the power you use to spin. The rounded corners and smooth surface protects your fingers from scratching and gives you a satisfying, as well as, smooth, functional spin. 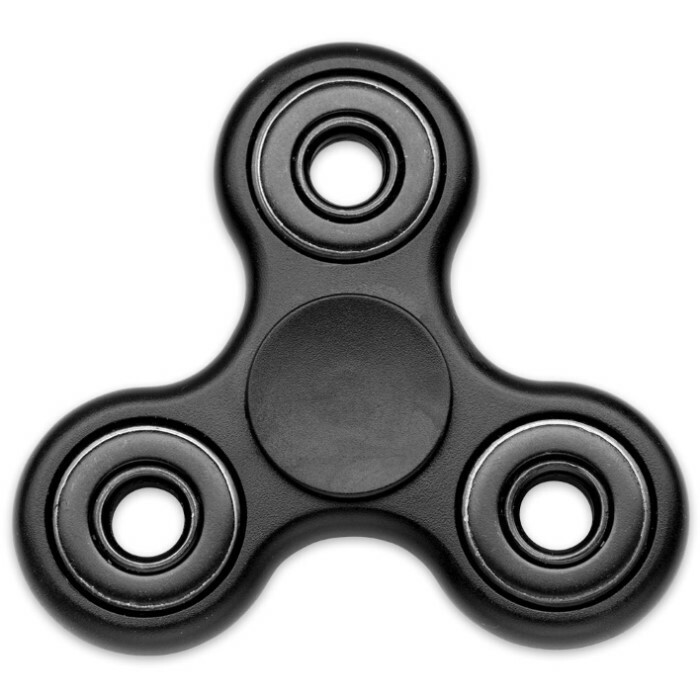 The perfectly balanced tri-spinner is designed for people trying to quit nail biting, smoking, leg shaking and all type of attention disorder issues. No repair, oil or maintenance is needed!